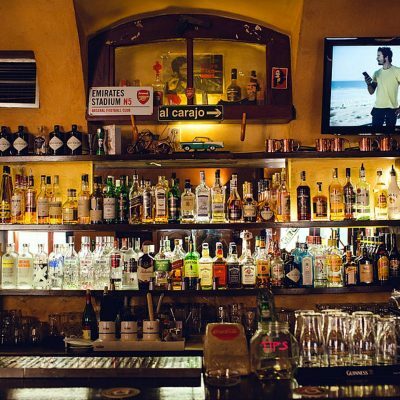 Here is our list of some of the Best Bars in Prague, all of these you can find in and around the city center. Each of these pubs differ in style and theme but all have superb beers on tap. These include world-famous Czech beers like Pilsner Urquell, Gambrinus, Krusovice and Staropramen. Well definitely worth trying as they are rated the best beers in the world! 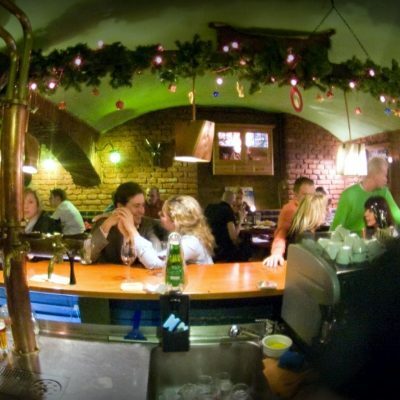 Some of the best bars in Prague listed are late bars staying open to the early hours of the morning. Many feature nights with live music. Sport bars regularly feature all major international sports events using high-tech large screens. These can be booked for group bookings. Others specialize in making cocktails with barman shows, the friendly staff in these selected pubs will also speak English. The Irish Times Bar Prague, a two minute walk from Old Town Square. 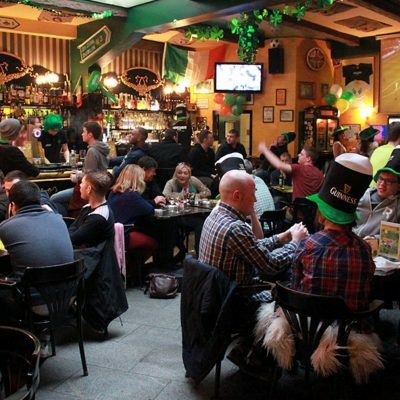 With warm and friendly staff offering an authentic atmosphere typical of an Irish pub. The Dubliner bar Prague is a huge cellar pub with a warm welcome and is located in the reconstructed Ungelt Courtyard. This is just steps away from Old Town Square. Rocky OReillys Irish Pub Prague. The interior design represents a mixture of the different styles of pubs in Ireland. 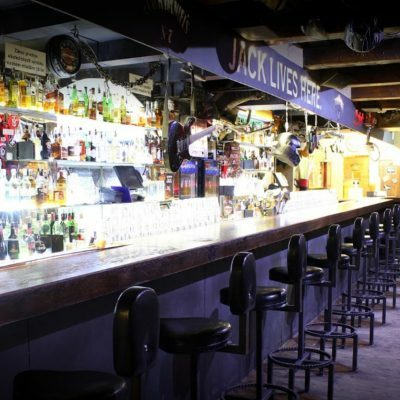 The long dark wooden bar is typical of a Dublin city pub. 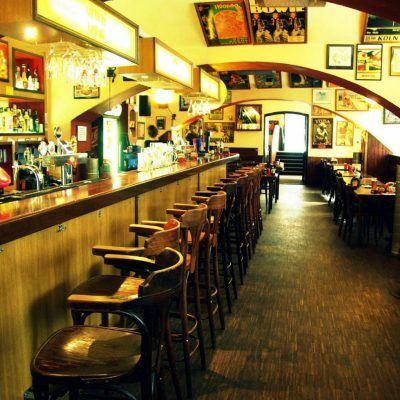 OChes bar in Prague is famous for its beer and they have the national favorite Gambrinus on tap. As well as internationally flavored brands like Guinness, Heineken, and Magners and Kopparberg cider and a great menu. 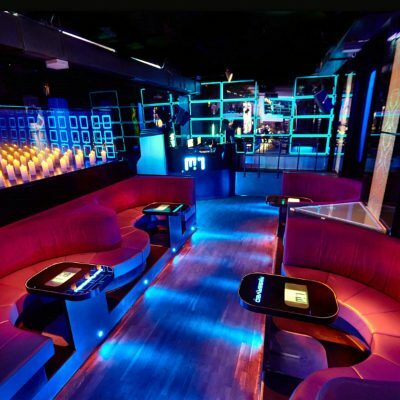 M1 lounge and bar Prague is laid back ’till midnight then club becomes a NYC style dance party! Commercial dance/R&B/Hip hop music. VIP bottle service available. Guaranteed busy every weekend. Located within 3 minutes walking from Old Town Square. Jama Bar and Restaurant (The Hollow) Prague. Delicious American and Tex-M ex specialties. Cool tunes and friendly service are on tap every day. 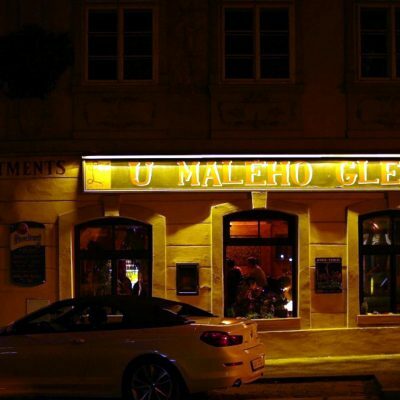 U Maleho Glena Bar and Jazz Club Prague. in the club it has been considered the most exciting jazz spot in the city by local and visiting jazz musicians and jazz fans alike. Hooters Prague, pretty female staff serving great cold beer and tasty helpings of American style bar food. Also live sports on each day, a perfect combination! Karaoke bar Prague. 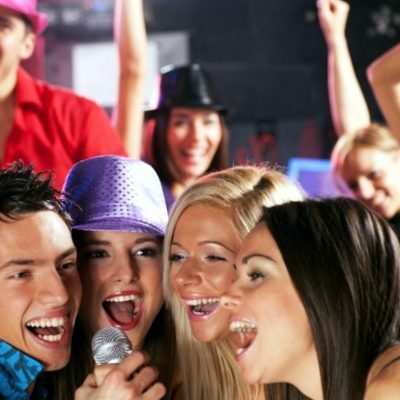 this premier private room karaoke club. There are 5 private, non-smoking, air conditioned karaoke boxes. Harleys bar Prague, described as the coolest hell on earth, this late opening bar is rockin most nights. Includes DJs and bar shows it is a happening place. It is situated just off the Old Town Square and is very easy to find. 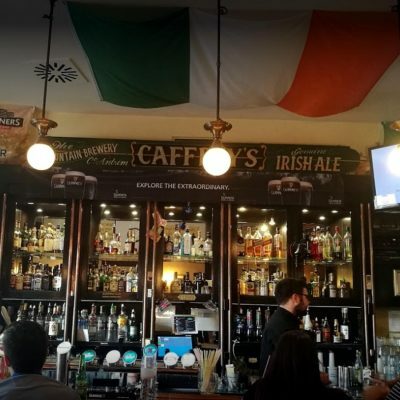 This Caffreys Irish bar Prague offers everything, great views from the beer garden set on the Old Town Square. Also an extensive food and drinks menu, very friendly staff and even live music. Kozicka Bar and Restaurant Prague is a popular hang out with locals. This cellar pub which survived the 2002 floods in the city is the place to be seen in the evenings.